The mobility rate has remained relatively stable, at about 12 residence relocations in a lifetime, for about the last decade. Not surprisingly, younger people who rent are more likely to move than older people who own. Since people in that younger demographic are obviously more apt to have school-age children, divorce modification is a necessary part of these moves, in many cases. Many times, parents enter into “side agreements” in these situations. They calculate that it is better to work out these matters on their own, so they simply come up with a new parenting plan. Sometimes, these modified plans are quite detailed, and even include both parties’ signatures. But regardless of the particulars, these agreements are unenforceable in family court. So, if one parent unilaterally reneges on the agreement, the other parent, who may have made substantial life changes, has no legal recourse whatsoever. To make these agreements stick, there must be at least one more step. In 2008, Florida lawmakers substantially reworked relevant provisions in the Florida Statutes and made it easier to formalize agreed modifications. Now, with a couple of notable exceptions, courts do not scrutinize these agreements very closely. One rule is that the agreement must be an “agreement” as opposed to an assent. For this reason, judges are much more willing to approve formal-looking documents signed by both parties as opposed to a text message exchange or email string. Although some judges will approve these informal agreements with few questions asked, a signed agreement that a lawyer prepares is much more likely to pass initial review. Second, the agreement must be in the best interests of the children, and judges will frown upon, and probably refuse to approve, any agreements that fall well below this standard. For example, a judge will probably at least want to hold a hearing before s/he approves an agreement that has the children travelling long distances to visit a parent. If both parents do not fully agree on 100 percent of the terms, the modification is contested. These actions follow the same track as the initial divorce litigation, because the party requesting modification must file a petition, serve the other parent, go through discovery, probably attend mediation, and attend a final trial date, unless the case settles. Legally, the only real issue is the best interests of the children. The term itself is rather amorphous, but judges will examine a number of factors to make their determinations. Safety: Any physical abuse is almost always a major factor, and any emotional abuse is usually a major factor as well, depending on the frequency, severity, and context of such abuse. 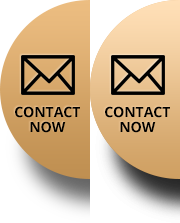 Contact: Even in physical abuse cases and other extreme situations, courts rarely sever contact between parents and children. However, judges will restrict visitation as to time, place, and manner to ensure the children’s safety. Consistency: Judges are more likely to approve relatively minor changes, such as an extra few hours in one place or another, as opposed to major disruptions, like changing schools. Preference: Judges may interview children of any age to determine their preference, but their opinions usually do not carry much weight, unless the child is an older teenager. Other factors, although they are not as important, include extended family relationships and prior parenting plan violations. 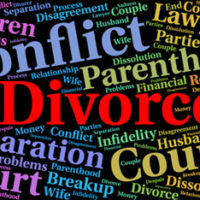 Divorce modifications can range from fairly simple to extremely complex. For a free consultation with an experienced family law attorney in Port St. Lucie, contact Eighmie Law Firm, P.A. Convenient payment plans are available.